Quick Veggie and Chicken dish! This is so quick, easy and delicious! Last night we had a group call for our 4 month lifestyle makeover, it was 40 minutes long. 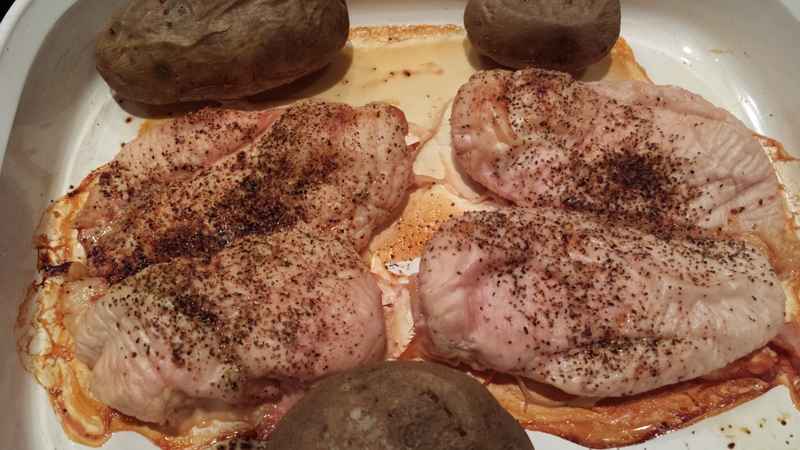 Just prior to getting on the call – I put 4 chicken breast and 3 baked potatoes in the oven. By the time our Q&A group call was over my chicken was just about done. 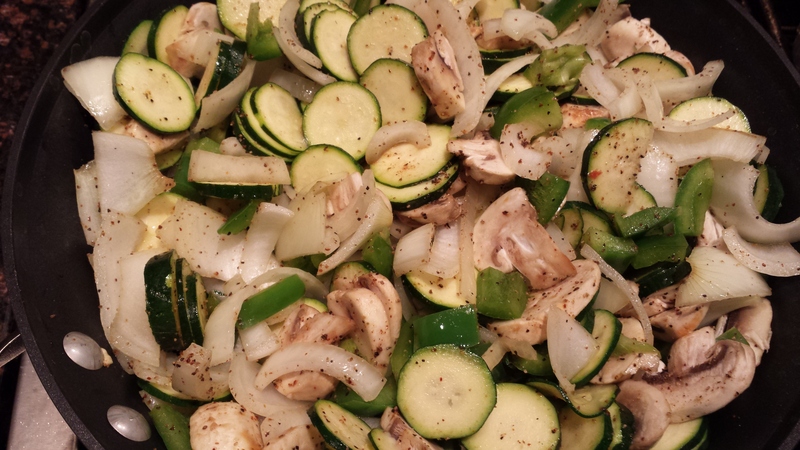 I diced zucchini, onion, bell pepper and mushrooms, threw into a pan with coconut oil and pulled my chicken out. While the veggies were tenderizing, I diced my baked chicken and white potatoes…with a phone in one ear chatting with my Mom. 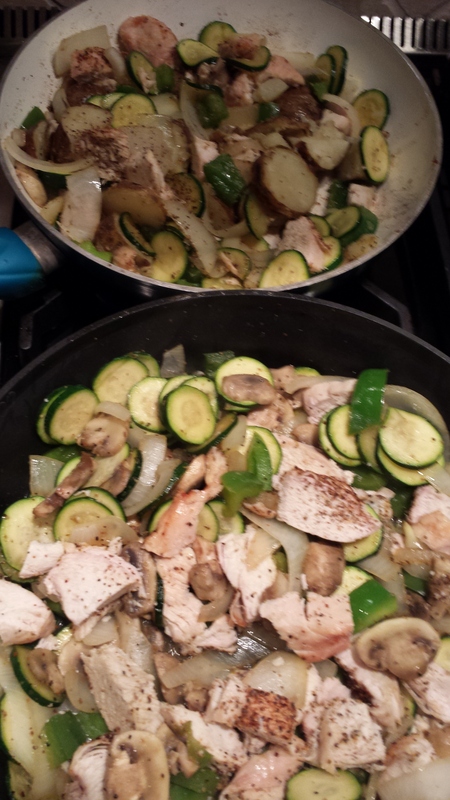 I chose to eat my dinner without white potato, so I split the veggies into 2 pans and split the chicken into 2 pans, adding potatoes to only one for my husband. I sauteed with garlic olive oil and a little Harissa oil for heat and we were eating within 20 minutes of getting off of the group call. This is quick, easy and can be made while multi – tasking. We took enough for dinner and put the leftovers in two separate containers for today’s lunch. It’s nice having a lunch already made for both my husband and I when we wake up, in the fridge – ready to grab and go.